Check out the best debit card rewards programs available now. Reward incentives ranked as the most attractive feature among consumers’ most preferred cards, according to TSYS’s 2016 U.S. Consumer Payment Study. In fact, reward incentives topped interest rates, mobile alerts and even customer service. With a rewards debit card, you can make all your normal purchases — and earn bonuses you can redeem for everything from cash to gift cards to free flights. Check out the chart and review these cash-back, points-based and relationship rewards cards in-depth to determine which one works best for your lifestyle. Once you get yours, you’ll have a great reason to use debit instead of credit. If you like limitless rewards, you’ll enjoy cash-back rewards. Check out these debit cards that give cash back and decide which one works best for you. The PayPal Business Debit Card allows cardholders to flex their “business muscles” while earning one percent cash back on purchases. 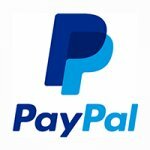 You can use the PayPal Business Debit Mastercard in person or online for buying supplies or other office items. The card also eliminates the need to transfer money from your PayPal account to your bank account, making it a cinch to pay vendors and have instant access to your PayPal funds. Activate the rewards program and earn one percent cash back on purchases. Access your earnings from your PayPal balance at the point of sale or at an ATM. Among the best debit cards for shoppers is the Bank of Internet Visa debit card. You earn cash back on everything from food purchases to entertainment — and combine coupons with exclusive cash-back offers to save big on purchases. Select the cash-back offers you want to activate. Shop online or in store with your Bank of Internet Visa debit card at the selected retailer to earn cash back. Not all checking accounts give you the opportunity to earn interest and even fewer give you cash back for making everyday purchases. The Discover Cashback Checking account comes with a debit card that earns 1 percent in cash back for each payment or purchase you make — on up to $3,000 in debit transactions per month. 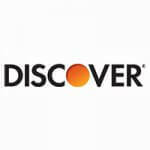 You can even add the cash-back rewards to your Discover card’s Cashback Bonus account. Earn 1 percent cash back per transaction, on up to $3,000 in debit card purchases each month. 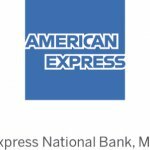 If your credit isn’t the best, the American Express Serve Cash Back prepaid debit card might be a good choice. You won’t be subject to a credit check when you apply for this prepaid debit account and you can open one for free online in a matter of minutes. You’ll also appreciate the fraud protection and friendly customer service team that’s available 24 hours a day. In addition, you can keep track of account activity using your mobile device. Your 1 percent cash back is added to your Serve account immediately when you make purchases. Redeem your cash back on your next purchase. 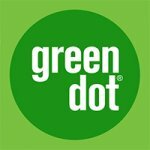 Another cash-back rewards card that doesn’t require a credit check, the Green Dot Visa debit card rewards customers with 5 percent back on all purchases for up to $100 each year. You can also take advantage of free direct deposit, which can clear up to two days earlier. You won’t have any trouble finding local and online stores to do your shopping — you can use the card anywhere that accepts Visa. Earn 5 percent cash back on all purchases to earn up to $100 per year. Redeem your cash at the end of the reward year. If you live near a Kroger and love free groceries, you’ll want its 1-2-3 Rewards Card. This prepaid debit card gives customers one point per dollar spent outside of Kroger, two points per dollar on eligible items sold within Kroger, and three points per dollar on Kroger family of brands. It also allows cardholders to save $.05 per gallon on fuel at any Kroger Fuel Center. Every 1,000 points converts into $5 in free groceries. Earn 1 point per dollar spent outside of Kroger. 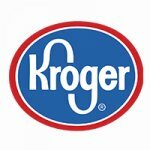 Earn 2 points per dollar spent at Kroger. Earn 3 points per dollar on Kroger brand products. Save 5 cents per gallon on gas. Redeem 1,000 points for $5 in free groceries. 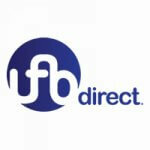 Those who enjoy vacationing in new places or who travel for work will like the UFB Airlines Rewards Checking. For every $3 of point-of-sale debit transactions you’ll earn one airline mile, and you can accumulate up to 120,000 miles per year. The miles are good for free flights, upgrades and even car rentals and hotel stays. Select “American Airlines” under membership affiliation after you open your account and add your Mileage Rewards number. Use your debit card to earn one mile for every $3 point-of-sale transaction. 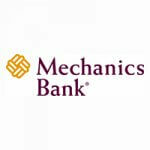 Mechanics Bank Debit Rewards gives cardholders a choice of the rewards they’d like — one month you might want a travel bonus and the next, a gift card. You can also choose dining or merchandise rewards. With no associated fees and so many reward options, this debit card is hard to beat. Visit uchooserewards.com and register your debit card. Earn 1 point for every $3 worth of signature-based transactions. Redeem points on the fifth day of the month after you earn them. Redeem points for gift cards, merchandise, dining and travel. Use the KeyBank debit card to earn gift certificates you can use or give to a friend or loved one, and choose among retailers such as Amazon, Advanced Auto Parts and iTunes. To earn these gift certificates all you have to do is shop with your debit card — you’ll receive one point for every $6 you spend. 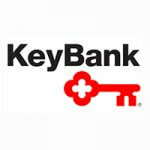 Visit a KeyBank branch or call 800-539-2968 to enroll in the rewards program. Shop and earn 1 point for every $6 you spend. Log in to the rewards redemption site and redeem your points for gift cards, cash back, travel, electronics, merchandise or charity donations. 12,500 points is equal to $25. 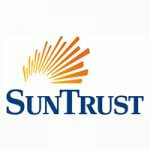 Another top-rated debit card for those who travel frequently is the SunTrust Delta SkyMiles World debit card. You start out with 5,000 bonus miles just for making your first purchase. You’ll earn one mile for each $1 you spend and you’ll get double miles for any Delta purchases. The card also comes with the MasterCard Priceless Cities perk, which gives you a chance to score front-row tickets and attend special events. Earn 5,000 bonus miles with your first PIN or signature-based purchase. Add 1 mile for every $1 you spend on PIN or signature-based purchases. Earn double miles on all Delta purchases. Miles are calculated on the fifth of each month. Redeem your miles for in-flight upgrades or apply them toward upgrades or travel to more than 1,000 destinations. 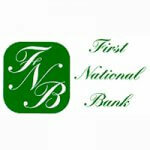 Every First National Free Checking account comes with a free First National Visa debit card, which makes you eligible for a host of relationship benefits. You can get discounts on home and auto loans, special deals on savings and money market accounts and even a closing-cost credit on your next mortgage. Get approved for a home equity, auto or personal loan and receive a 0.25 percent rate discount. Take advantage of a $200 mortgage closing-cost credit. Sign up for a safe deposit box and get a $25 discount. Get special deals on savings, money market, CD and IRA accounts. You won’t need to apply for a rewards program if you have a Fulton Bank Visa debit card — you’ll be automatically enrolled when you open your checking account. Combine rewards points with relationship benefits to earn everything from gift cards to merchandise with ease. Earn points for each transaction that’s at least $4 and for which you select “credit” at checkout. 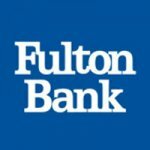 Get more points by opening a new bank account or taking advantage of one of Fulton Bank’s many services. Shop from the AmpreOnline store and earn up to 10x the bonus points. Redeem your points via the online banking portal. Redeem points for cash back or gift cards. 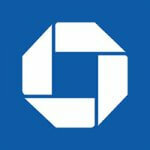 Welcomed everywhere Visa debit cards are accepted, the Chime Visa debit card offers multiple benefits. You can sign up for the automatic savings program, which rounds up the total from each transaction to the nearest dollar amount and deposits the difference directly into your savings account. Chime also provides a rewards program that enables you to earn cash by shopping at certain stores or paying certain bills online. Access your account to review approved merchants’ rewards. Get instant cash-back rewards for using your Chime Visa debit card to pay certain bills or make purchases at specific retailers. 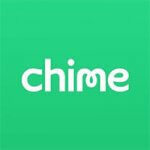 Chime deposits the award’s cash amount directly into your Spending Account. Bank of America’s BankAmeriDeals program allows you to earn cash back by using your debit card. To earn rewards, choose and activate your deals via online and mobile banking. Use your Bank of America debit card for the selected retailers and you’ll earn cash back that’s credited to your account by the end of the next month. You’ll get cash back for eating at your favorite restaurants and shopping at your favorite stores. 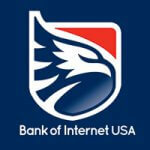 To select BankAmeriDeals, log into your Bank of America account. 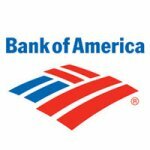 Use your Bank of America card at the retailers and restaurants you selected to earn up to 15 percent back in cash back. Cash back is automatically credited to your account. If you visit Mickey Mouse and friends several times a year or you love Disney merchandise, the Chase Disney Visa debit card is your best bet. You’ll get year-round perks that include discounts on toys and clothing, savings on meals and special opportunities to meet Disney characters. Shop online or in person at the Disney Store and receive 10 percent off your purchases. Take 10 percent off when you spend at least $50 on merchandise at Disneyland and Walt Disney World Resorts. Save 10 percent on meals when you dine at Walt Disney World Resort and Disneyland Resort. Meet and have pictures taken with your favorite characters at select locations within Disneyland and Walt Disney World Resorts. Methodology: GOBankingRates.com identified the cash-back debit cards by analyzing points and rewards earning potential, monthly service fees, ATM fees and balance requirements. All fees and rates are subject to change at the debit card issuers’ discretion. And, some bonus offers may or may no longer be available on the debit card issuers’ websites, depending on how you access the web page. Make bill paying more convenient with autopay.